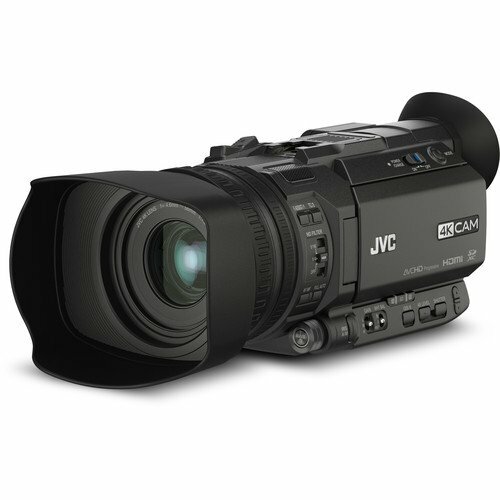 Sub $1200 ($1000 – $1200) price range is good for decent pro- grade HD camcorders. These camcorders are good for home movies, short films and documentaries. Panasonic and Sony are the top manufacturers for this price range. – Product specifications and features. – Price range between $1000 to $1200. When you have so much money that you can afford high-end camcorder, you need to make sure the stuff that you are buying is actually high-end and not just some product with a sticker that says Full HD but delivers poor image quality. 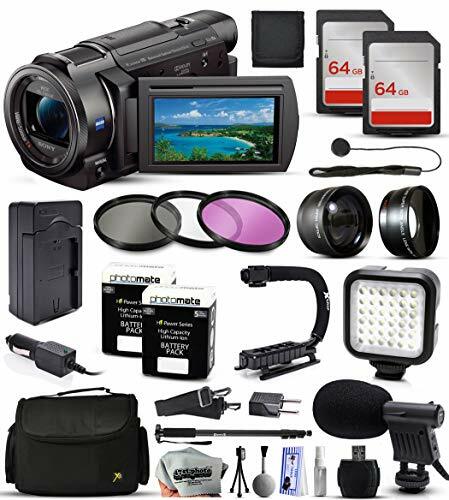 The above five camcorders listed have been handpicked to avail you the best under $1200. 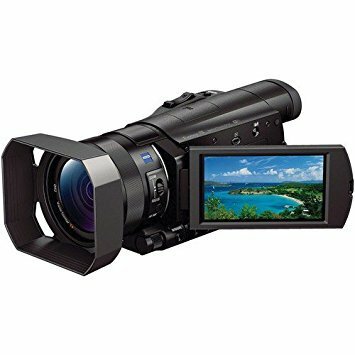 Beginning with the dominant brand on the list i.e Sony, the HDR-TD30V Full HD Camcorder with a plethora of features is quite a good investment. At this price bracket, you can expect 3D recording which has been included in this camcorder and also a 3D touch panel for direct 3D viewing without the glasses. Sony’s legendary Exmor R CMOS Sensor is a part of the 20.4MP shooter that gives 1920 x 1080 videos at up to 60FPS. The 3D can be easily switched to 2D with the push of a button. 10x Optical Zoom gets you closer to what you are shooting without losing the touch of reality. 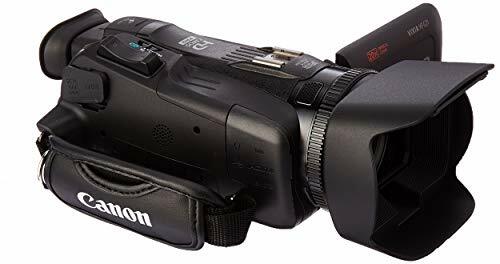 Some of the other features that mark what a great camcorder this is are Golf shot, Wind Noise reduction, direct copy to HDD, Clear Phase Stereo speakers, built-in flash and more. Another premium camcorder by Sony is the FDR-AX33 which records at 4K resolution/30FPS and 1080p/60FPS. This one as well comes with a Exmor R CMOS Sensor and Bionz X Image Processor for excellent photos and videos. Zeiss Vario Sonnar T*Zoom Lens for 10x Optical and 20x Clear Image Zoom is a mind-blowing thing about this camcorder. For image stabilization, you have Balanced Optical SteadyShot, so that you can focus more on your baby’s first steps or their first poem recital. Raising the stakes a bit more, we have HDR-CX900 by Sony, which is the ultimate pro camcorder for professional purpose as well. 1” Exmor R CMOS sensor increases the precision manifold, to make the 1080p video, clear like a fresh molded glass. And along with that, you also enjoy the ultra-sharp 20MP images that last forever. 12x Optical Zoom and 24x Clear Image Zoom indicate how this model by Sony is better than the other two on the list. Apart from all this, the Bionz X processor enables the videos to reach over 120FPS, effortlessly. To watch whatever you shoot, you have an Xtra-Fine LCD. Connectivity here can be achieved via NFC and WiFi, for quick transfer and other functions. 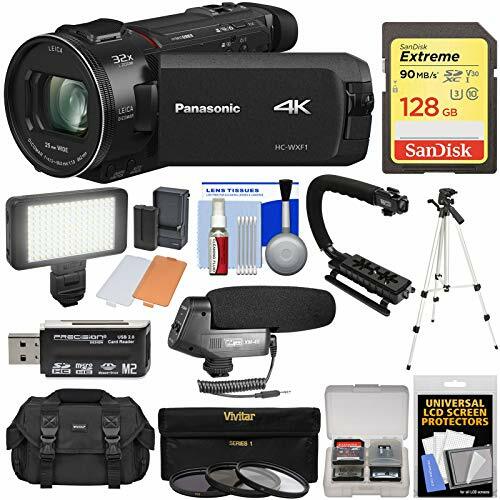 Panasonic HC-WXF991K on the list is one of the most expensive by the brand and features 4K video recording assisted by Electronic Viewfinder and Hybrid Optical Image Stabilization. Also, the in-camera editing tools help you chisel your creations right after you shoot them. Probably the lavish feature about this camcorder is its 20x Optical zoom that doesn’t lose it quality even at max. However, Canon VIXIA HF G40 has a better name in the market as it is one of the best by Canon, ever. This device also features a 20x HD Optical Zoom which is convenient, and jaw-dropping at the same time. The best of 1080p videos at 60FPS is what this camcorder proudly presents. Intelligent Optical Image Stabilizers with Powered and Dynamic modes make sure the picture is blur-free, whatsoever. And to transfer the media, you have WiFi with FTP transfer, making it a matter of seconds. Dual SD card slots enable the camcorder to hold more of your precious memories and the high-capacity battery stays up as long as you do.